The Globe and Mail leads all entrants in the 70th National Newspaper Awards competition with 20 finalists. Other news organizations with multiple finalists include the Toronto Star and La Presse with six each, the Canadian Press with four, and the Saskatoon StarPhoenix and Waterloo Region Record with three each. 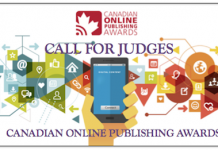 The Winnipeg Free Press, St. Catharines Standard, Calgary Herald/Calgary Sun, Edmonton Journal/Edmonton Sun and Ottawa Citizen each have two finalists in the competition. The Calgary Herald also has a joint nomination with National Post, and the Toronto Star has one shared with the Halifax Chronicle-Herald and Brunswick News. Nine other organizations each have one finalist. There are 63 finalists in 21 categories, selected from 951 entries for work published in 2018. Winners will be announced at an awards ceremony in Toronto on Friday, May 3. The 2018 Journalist of the Year will be chosen from among this year’s winners, and revealed at the gala after all category awards have been announced. This is the 70th year for the awards program, and the 30th under the current administrative structure. The awards were established by the Toronto Press Club in 1949 to encourage excellence and reward achievement in daily newspaper work in Canada. The competition is now open to daily newspapers, news agencies and online news sites approved for entry by the NNA Board of Governors. Thanks to donations from sponsors, seven of the 21 category awards will this year be named after important figures in the news industry. The Claude Ryan Award for Editorial Writing (sponsored by the Ryan family) and the Norman Webster Award for International Reporting (sponsored by the Webster family) were announced last year. Added this year to the group of named awards are: the George Brown Award for Investigations (sponsored by the Globe and Mail), the John Wesley Dafoe Award for Politics (sponsored by Ron Stern), the E. Cora Hind Award for Beat Reporting (sponsored by the Nellie McClung Heritage Site), the Bob Levin Award for Short Feature (sponsored by the Globe and Mail) and the William Southam Award for Long Feature (sponsored by the Southam family). • Three individuals are finalists in two separate categories: Grant LaFleche of the St. Catharines Standard in Investigations and Local Reporting, Greg Mercer of the Waterloo Region Record in Local Reporting and Politics, and Andrew Vaughan of the Canadian Press in Feature Photo and Sports Photo. • Brian Gable of the Globe and Mail, a seven-time winner, is a finalist for a record 17th time in Editorial Cartooning. 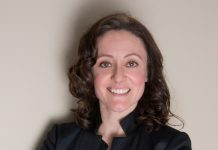 • Another seven-time winner, Stephanie Nolen of the Globe and Mail, has been named a finalist for the 16th time of her career, in International. • Six-time winner Grant Robertson of the Globe and Mail is a finalist for a 12th time, in Long Feature. • Three-time winners David Pugliese of the Ottawa Citizen, John Roe of the Waterloo Region Record, Paul Waldie of the Globe and Mail and Jon Wells of the Hamilton Spectator are all finalists again. • Isabelle Hachey of La Presse, a winner last year in International, is a finalist for an eighth time, this time in Long Feature. • Russell Wangersky of the St. John’s Telegram is a finalist for the seventh time, as is Pugliese. You can find out all of this year's finalists by clicking here. Next articleAre you ready for CAJ 2019?